Running so fast through the water it kicks up a trail. 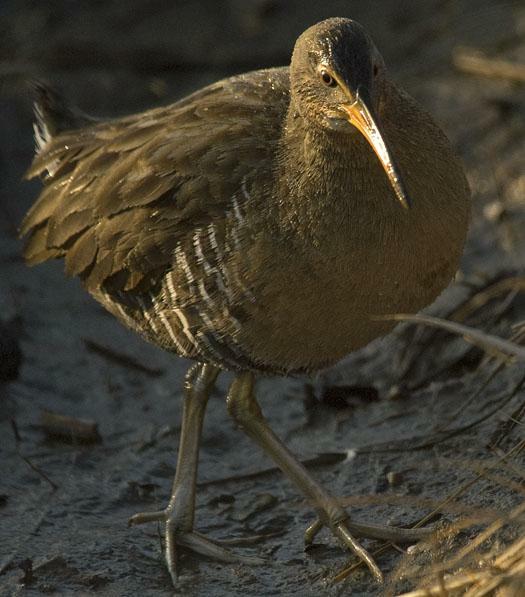 Rails are part of the Rallidae family of birds. 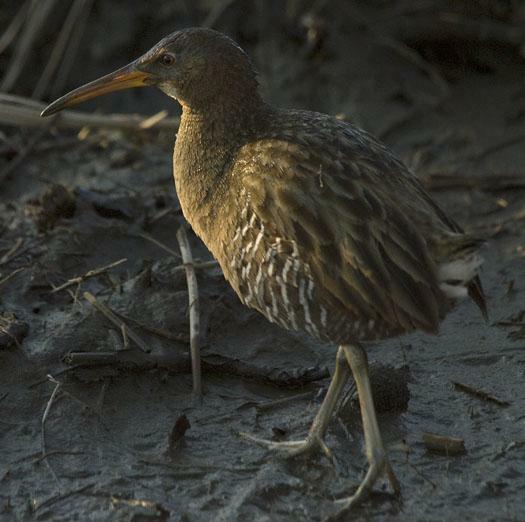 Other rails found in our marshes are King, Yellow, Black and Virginia. But the Clapper is heard so often with its call which I have seen described as a series of loud unmusical ticks. This one was ticking, or clapping, away on a sunny morning. 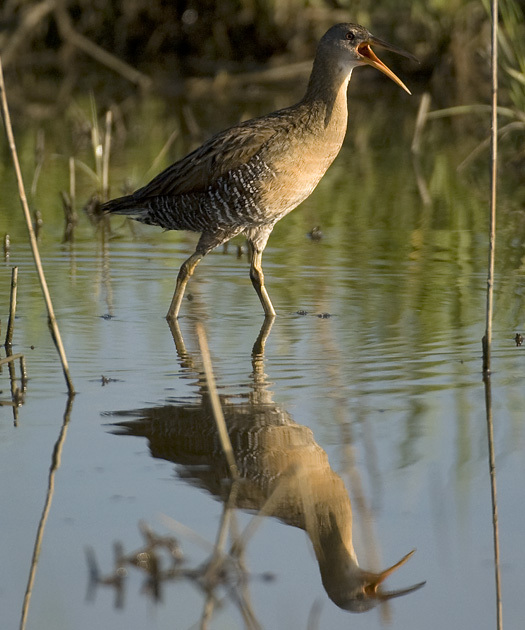 Clapper Rails are elusive birds, often heard but seldom seen in the marsh. 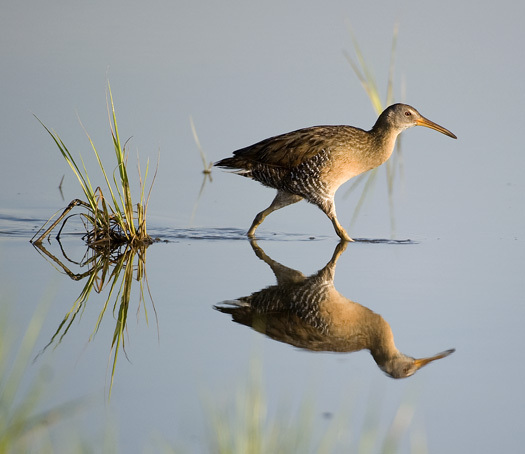 This morning, however, a couple of rails scurried through the shallows as they went about their early morning routine. I often refer to The Sibley Guide to Birds for identification and information on birds. This terrific book says that Rails are “shy and secretive” I agree. I spend a lot of time in marshes looking for photographic subjects and, although I hear them quite often, I rarely see these beautiful birds. 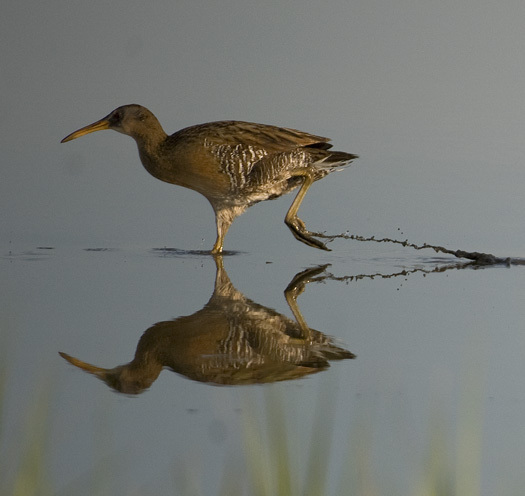 This afternoon as I photographed a Black-crowned Night Heron, a Clapper Rail walked out onto the mud just in front of me and could not have cared less that I photographed its actions for several minutes. To him I say, thank you!